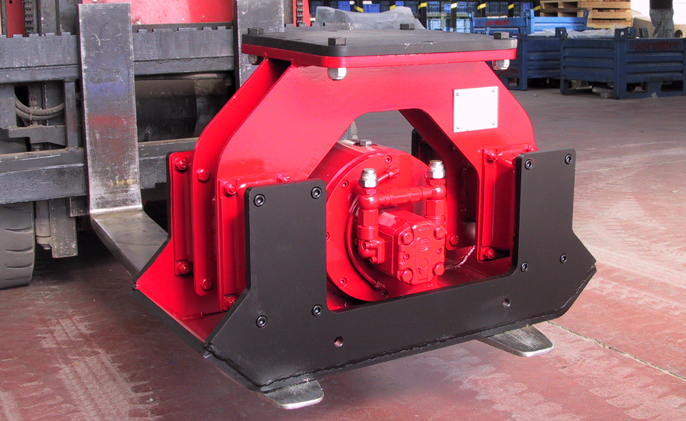 Socomec have over 40 years experience manufacturing hydraulic breakers and attachments. 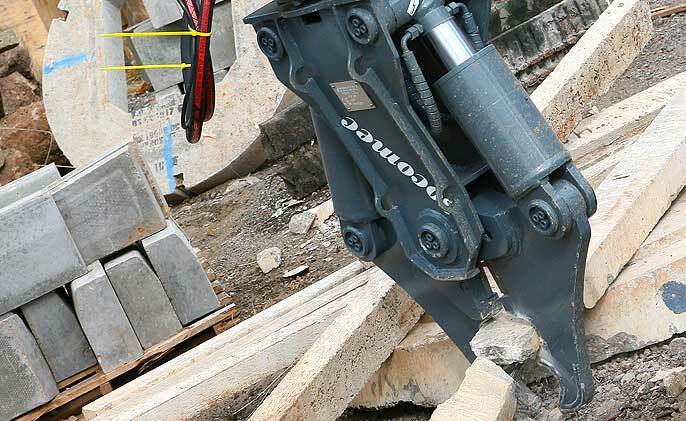 Thanks to constant work, investments in research and technological developments, Socomec hydraulic breakers are now the most innovative and reliable in their field. 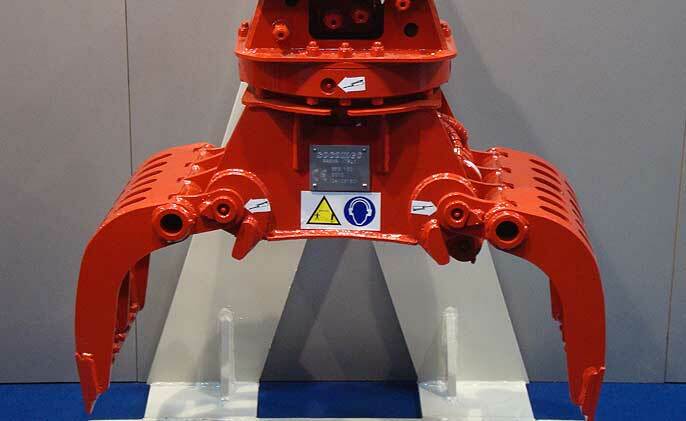 With market leadership in the Italian market and the increasing acquisitions of new markets abroad, Socomec is today amongst the top in the worldwide production of hydraulic breakers. Now for the first time Socomec have a structure in place in to promote and support their innovative range of breakers throughout the UK. With the highest regard for quality control throughout the processes, from manufacturing to assembly and to delivery of the finished product to the customer, Socomec are prepared to prove their confidence in the latest range of DMS light to medium breakers by offering a 5 year Warranty* on its unique monobloc construction. SOCOMEC vibrating plates are designed and produced with the intention to solve the problem of the compaction of earth, excavations and steep land. 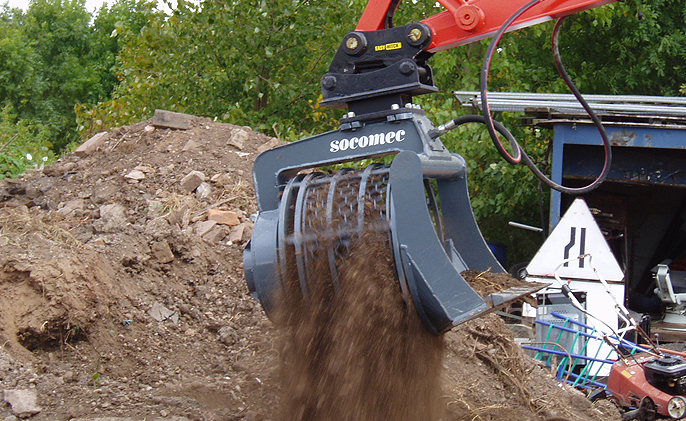 Due to the continuous increase of the importance of the recycling field and recovery of the different materials, SOCOMEC places on the market the screening bucket range for excavators from 3,5 to 12 tons. 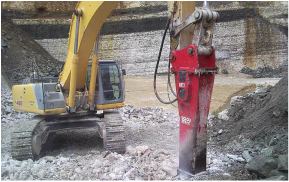 The SOCOMEC demolition crushers PDO allow to demolish armed concrete structures, reducing noise and vibrations. 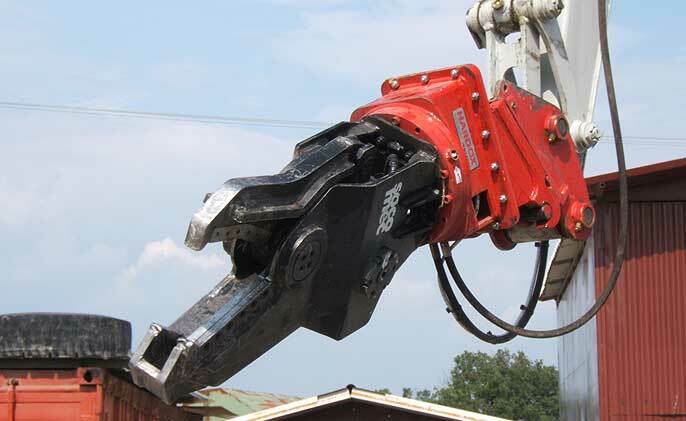 Offer a wide line of equipment to its clients in three ranges (light, medium and heavy) to satisfy the specific end users’ requirements with excavators from 0,8 to 65 tons of weight.